Little cutie doing cute things! Look, it’s been a rough news cycle this month. End of the world due to global warming, President Trump letting Saudi Arabia get away with anything they want, that Elizabeth Warren thing didn’t really go the way she wanted. We need a new video. A cute video. 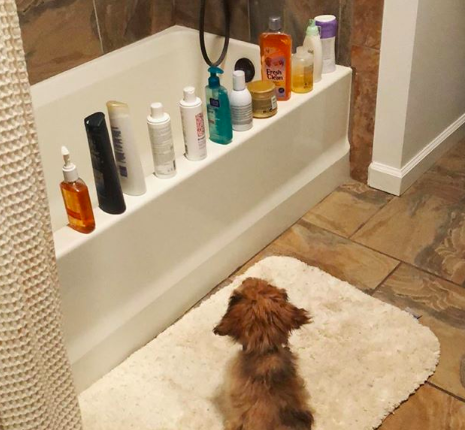 We need this adorable video of a cute as hell dog knocking shampoo bottles into a bathtub. Eleven shampoo bottles into a bathtub! You want to see a video that will have you shouting “who’s a good boy” at the top of your little human lungs at the computer screen? Well, get an eyeful of this you great and foolish beast! 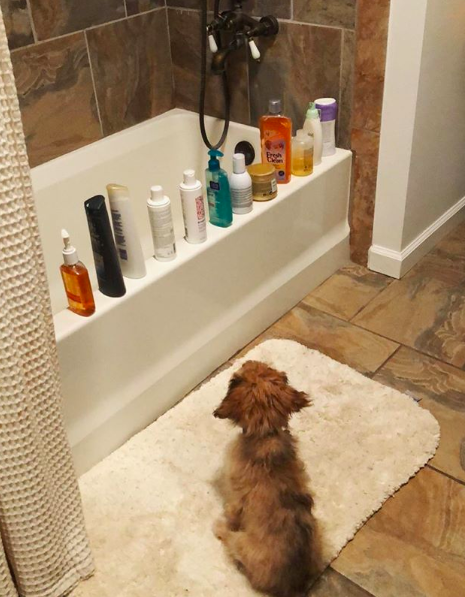 His name is Little Leo the Cavapoo, and you can check out more of his adventures, via Instagram, here. Heck yeah! Cuteness! Small dogs are allowed to be rascals, right? But big dogs though? You get annoyed. And far be it from me to critique a cute video, but does it seem like this entire cinematic expression would be better if the bathtub was filled? Dog, go watch some classic Three Stooges shorts, then get back to me with your bathtub antics! VIDEO: #METOO 1 YEAR Anniversary- Has Anything Changed? ?